It was encouraging to see a fairly high overall average score of 6.47* in the first edition of the Electric Vehicle Dealer Attitude Survey (EV DAS), although it is clear that various networks are calling on their manufacturers to address a number of specific issues. 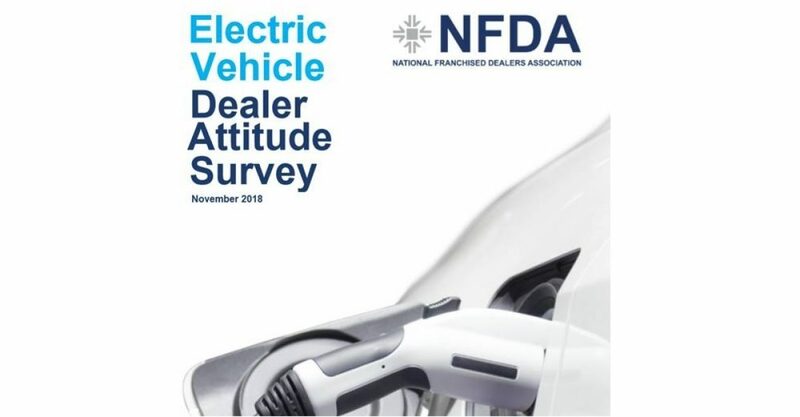 The NFDA has launched the EV DAS to explore franchised dealers’ on-going relationship with their respective manufacturers in the electric vehicle area. NFDA will carry out the survey twice a year. The EV DAS highlights where constructive relationships between dealers and manufacturers are creating favourable retail environments for EVs and outlines potential challenges that need to be addressed. The question about manufacturers’ proposed plug-in and EV product range for the next two years** saw the highest average score demonstrating a degree of optimism amongst retailers. Unsurprisingly, retailers were primarily concerned with supply, returning the lowest average score of the whole survey***. Going forward, as EVs and plug-ins become more popular, we expect more networks to participate in the survey. NFDA encourages manufacturers and retailers to look at the findings of the EV DAS and continue to collaborate to provide the best possible offering to consumers.